Move forward with confidence that you can turn your passion into a career - and that you’ve saved money and time. 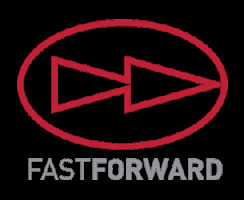 Once accepted to the University and the FastForward Program, your faculty advisor will assist you in scheduling your classes to meet the requirements of the program. In your senior year, you will take two MBA courses (at the undergraduate tuition rate) that will count toward both undergraduate and graduate degree requirements at Seton Hill. Receive your bachelor’s degree at the end of your senior year, and then earn the rest of your MBA over the next 10 – 12 months. Bonus: Since MBA courses are taught in the evening, you can begin your career while earning your MBA! If you are a new student or are still considering enrolling at Seton Hill, please contact the Office of Undergraduate Admissions by filling out our online Request for Information form, calling (800) 826-6234, or sending an email to admit@setonhill.edu. If you are a currently enrolled Seton Hill student, please contact the Office of Graduate & Adult Studies at (724) 838-4208 or gadmit@setonhill.edu.